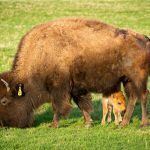 On Saturday, April 20, baby bison season officially began. The first calf of the year was born in the early morning hours, and mother and baby are doing well. Fermilab is expecting between 12 and 14 new calves this spring, and all of our neighbors are welcome to come on site to see and photograph the newborns. Fermilab scientists are preparing for future, high-power particle beams with a technological advance inspired by spinning sugar. It’s a new type of target — the material that beams collide with to produce other particles, such as neutrinos. The target is designed to be able to withstand the heat from high-intensity beams, expanding the potential of experiments that use them. 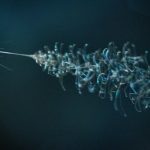 Researching this new patent-pending technology already has led to a TechConnect Innovation Award and might have applications in the medical field. Four students have received the prestigious DOE Office of Science Graduate Student Research fellowships to conduct their research at Fermilab. The goal of the program is to prepare graduate students for STEM careers critically important to the Office of Science mission by providing graduate thesis research opportunities at DOE laboratories. The Event Horizon Telescope—a planet-scale array of eight ground-based radio telescopes forged through international collaboration—was designed to capture images of a black hole. On April 10, in coordinated news conferences across the globe, researchers revealed that they have succeeded, unveiling the first direct visual evidence of a supermassive black hole and its shadow. On Feb. 26, a team on Fermilab’s MINERvA neutrino experiment gathered around a computer screen to officially conclude its data acquisition. Even with the data collection over, the work marches on. MINERvA now turns its attention to analyzing the data it has collected over the past nine years of its run. On Wednesday, April 17, from 5:30 to 8:30 p.m., Fermilab will offer high school students a valuable opportunity to ask STEM career questions in person. 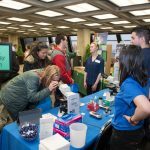 The annual STEM Career Expo, held in the atrium of Wilson Hall, will put students face to face with people actually doing the jobs they will be applying for in the coming years. The optical lenses for the Dark Energy Spectroscopic Instrument have seen their first light. Fermilab contributed key components to DESI, including the corrector barrel and its support structures, along with vital software that ensures the instrument’s 5,000 robotic positioners are precisely aligned with their celestial targets. 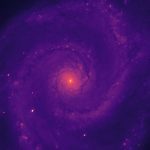 Astronomers strive to understand the structure and evolution of stars, galaxies and clusters of galaxies. 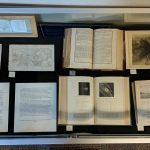 Take a short journey through the history of astronomy by viewing some of the field’s most influential works, currently on exhibit in the display case in the Fermilab Art Gallery. The exhibit is open Monday through Friday, 8 a.m.-4:30 p.m.
It’s always great when every one of Fermilab’s nine particle accelerators are turned on and provide beam. 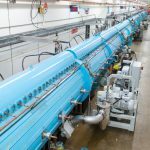 With the lab again firing on all accelerator-cylinders, we thought it would be a good time to provide a rundown of each of the members of Fermilab’s accelerator complex. Get to know Fermilab’s suite of accelerators and storage rings. 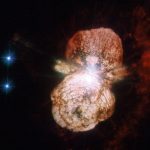 Particle detectors recorded neutrinos from supernova SN1987A hours before telescopes saw the first light. 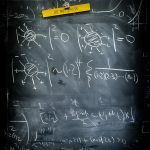 Thirty years later, scientists around the world are eager to detect neutrinos from another one. The international Fermilab-hosted Deep Underground Neutrino Experiment will be looking for them. 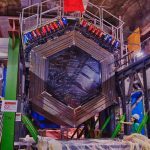 These neutrinos can tell us more about supernovae themselves and may hint at new physics that could upend the Standard Model of particle physics.